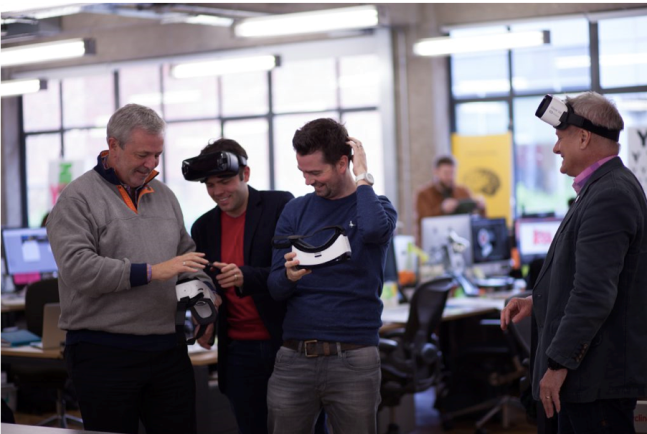 Leeds based brand design consultancy, Elmwood, has acquired Framework Creative, which specialises in the design and production of virtual brand experiences. Elmwood, which has been headquartered in Leeds for 40 years, is a well-established global brand design consultancy helping clients and their brands grow. With technology advancing rapidly, the move into immersive, simulation experiences using augmented reality and virtual reality technologies will transform the scope to design innovative new ways for Elmwood’s clients to engage with consumers. Elmwood-owner Jonathan Sands OBE said: “As one of the few remaining independent global design consultancies, I am incredibly proud that Elmwood can continue to invest in its own future through targeted acquisitions. “It has never been a more exciting time for brands and brand design to seize new opportunities to make a real connection with consumers. We are seeing a radical transformation, and all of us in the industry are having to adapt and cut through the noise.